Penelitian - Scientists have found the fossil of a new dinosaur species in southwest China's Yunnan Province. Researchers have named the new species Yizhousaurus sunae, known in Chinese as Sunshi Yizhou dinosaur, after Chinese scientist Sun Ailing for her great contribution to vertebrate paleontology. The findings were recently published on Scientific Reports measuring seven meters in length, the fossil was discovered and unearthed in Lufeng County in 2002 and could date back to around 180 million years ago, said Zhang Qiannan of the Chinese Academy of Sciences. Phylogenetic analysis indicated the dinosaur was a Sauropodiformes, meaning a lizard-footed dinosaur. Zhang said that the discovery enriches the diversity of Sauropodiforms and is significant to the studies on origin and evolution of dinosaurs. 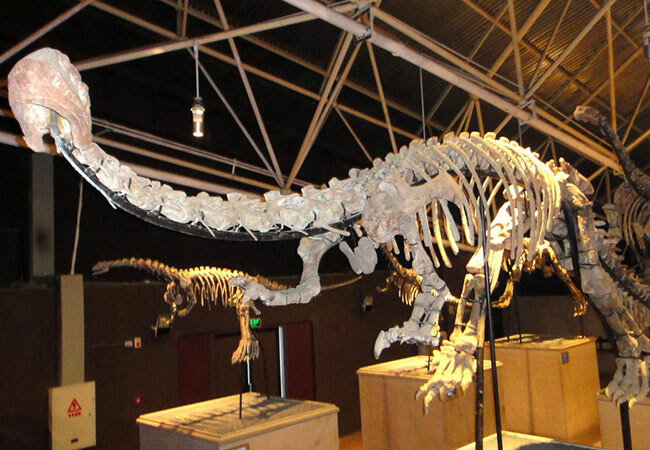 The dinosaur fossil is displayed at the museum in Lufeng Dinosaur Valley. Lufeng is known for its abundant fossils of prehistoric creatures. Eighty years ago, a dinosaur fossil dating back to around 190 million years ago was found there.